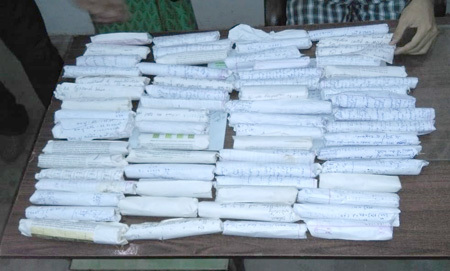 They have been spat at, received threatening letters, and have fended off sticks and daos, but that have not stopped the members of the Women Against Social Evils (WASE) from relentlessly crusading against drugs and alcohol (IMFL) abuse in East and Upper Siang districts and the neighbouring villages near Jonai in Assam. Such threats – actual physical violence and spitting – are not a setback to these groups of women as they continue their work to turn their villages into drug-free zones. Earlier, WASE members would raid the homes and shops of drug peddlers and pick up peddlers as well addicts, but now they seek the help of magistrates and the police, so that there are no legal complicacies later. “When we started, we were on our own, but later we roped in the police and the administration. Whenever we get information, members of the organization go to that particular place after preliminary investigation. After we are sure, we inform the police and the magistrate, and they accompany us to these raids,” says Joya Tasung Moyong, the general secretary of the organization. How did these groups of volunteers come together and single-handedly took over the responsibility of waging a fight against widespread drug and alcohol abuse? 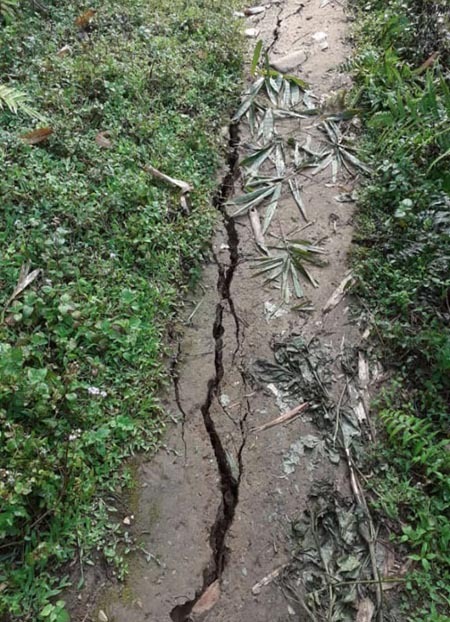 It was tragedy that inspired the women to come out openly in the streets of Pasighat to act against the endemic use of drugs and alcohol – but nobody knew how to get to the root of it. A couple of years ago, five young people lost their lives in one night, on New Year’s Eve. “The deaths shocked us to the core. That’s when we decided to get together and do something about it. As mothers, we could not have watched in silence and grieved. We had to shoulder the responsibility,” Joya says. One of the first steps they took was to seek closure of liquor stores for a specific time during the New Year season. 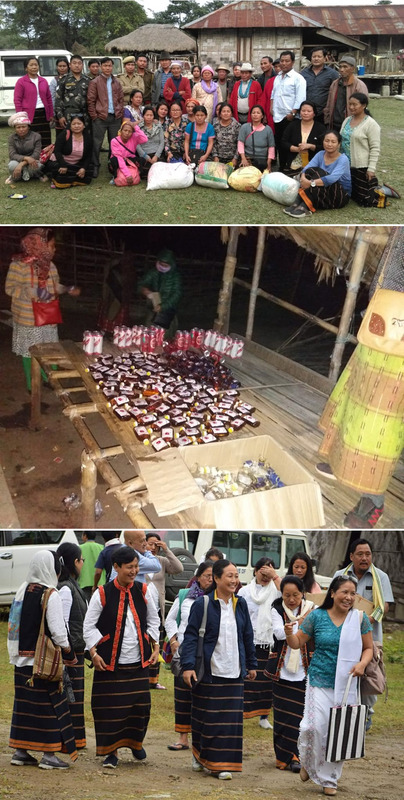 Each year, for 15 days around the New Year festivities, the liquor stores are closed in Pasighat and other areas. The administration seals these stores. Another step was the call for IMFL-free elections. Throughout the campaign period, WASE members visit the homes of each of the contesting candidates to check whether there is use of IMFL. Today, IMFL is not distributed; at least it is not done openly, out of respect for the WASE. Since 2011, the women were working under another organization. However, they branched out in 2016. The women, mostly from villages in and around Pasighat, organized themselves as the WASE. Since then, the WASE has grown in numbers. Almost all the villages in East Siang district have WASE units, and so do Silli and Padu in Upper Siang, and Leku in Assam. The members say that almost all the families have a drug addict amidst them, and there is no robust institutional support for de-addiction. The WASE says that 70% of young people in schools use some form of drugs and/or alcohol. Cannabis is widely used, and so are adhesives like Fevicol and Dendrite, as well as pharmaceutical drugs, mostly painkillers, sedatives and cough syrups, which can be bought from pharmacies without prescriptions. Opium and brown sugar are also popular among the users. Where do the drugs come from? Opium and cannabis are locally grown, while the rest of the drugs are supplied from Assam. The cycle is vicious. Opium and cannabis make their way from Arunachal to Assam, and come back to the state through peddlers. The peddlers buy it cheap from Arunachal’s villagers who grow it for economic sustenance. The same comes back to the state, easily crossing the porous police check gates. Following a crackdown by the WASE, drug users in Pasighat are now going to the peddlers in Assam, which is a recent trend. Also, the users have become peddlers, as well, as it makes their indulgence cheaper. Cannabis grows abundantly in Arunachal, making it one of the most widely used drugs. However, it is cultivated as well. Recently, the WASE team seized 132 quintals of marijuana from Depi and Depi Moli villages in East Siang. Most of the stock was being kept in granaries. Opium is also extensively used, and it is cultivated in jhum fields for commercial purposes. Arunachal is one of the top opium producers in the entire country, according to a 2014 report by narcotics control and intelligence agencies. In 2013, 331 kgs of opium were seized in Arunachal, while 1222 hectares of poppy cultivation were destroyed. In 2017, 1385 acres of poppy, of a total 8515 acres, were destroyed in the entire country. In Anjaw, Lohit, Upper Siang and insurgency affected Changlang, Longding and Tirap districts, opium is grown large-scale. The Narcotics Control Bureau says that the main internal factor influencing drug trafficking in India is illicit cultivation of opium poppy in some pockets of the country. Similarly, illicit cultivation and wild growth of cannabis in hilly and remote areas of Himachal Pradesh, Arunachal Pradesh and other states lead to interstate cannabis trafficking. Recently, two police officers were suspended after a cache of opium seized by the WASE went missing from police custody in Pasighat. The organization along with police personnel had seized the opium, but of the 25 seized packets, only a few were with the police, prompting WASE volunteers to protest outside the police station. Later, Sub-inspector Ravindra Singh and Assistant Sub-inspector (IBRn) Kitam Jamoh were put on suspension, and a magisterial inquiry is being conducted into the case. The WASE says that the real hindrances in its fight against drugs are corrupt police officials involved in the drug trafficking trade. “It’s a huge setback to our efforts,” says Joya, adding that the arrest of the two officers exposes the deep-rooted involvement of some of the police personnel. She also says that, though there are hundreds of drugs-related cases, only three have reached the court. The conviction rate so far? Nil. The WASE blames weak police investigation behind the lack of conviction. Earlier, the guardians would hand over drug addicts to the police because they had no idea what to do with them or where to take them for de-addiction. Now, Pasighat has a drug de-addiction centre in Jarkong. There is also an opium substitute training centre, where drug addicts willing to reform are treated under expert medical supervision. The WASE says that the opium substitute training centre has instead become a readymade market for drug peddlers. “Some of the drug-addict patients of the centre are drug peddlers themselves,” says Joya. The organization says that, unless rehabilitation facilities are improved and monitored properly, it is unlikely that there will be any success in combating drug abuse. Addiction needs to be treated, they say. The WASE does not have any trained counsellors, but many parents bring their children to them, asking them to provide counselling. “We counsel them as mothers and sisters. Because of lack of training, we can only manage so much,” Joya says. So far, nine addicts who came to the WASE for counselling have not relapsed. With 20 core members, led by Omem Ering as its president, the WASE is purely a voluntary organization with no outside funding. Money is raised from its members, and some well-wishers make donations. It has two vehicles, given by two oil companies under their CSR programmes. The organisation does not have an office of its own. How do they keep track of their own work? “With members having to go out almost every day on call of duty, we do not have much time for paperwork. We started keeping records much later,” Joya says. Even as we were speaking, WASE members were busy attending a drug abuse-related programme. The calls for raids are increasing day by day. Who are the informers? Mostly family members of peddlers and drug addicts themselves. When a member of a family is afflicted with drug addiction, the whole family suffers. Left with no option, they reach out to WASE members. “Nobody wants their homes to be searched for drugs, but families, seeing no other option, reach out to us for intervention,” Joya says. The threat of violence is always there, she says. But for the members of the WASE, the biggest threat is the widespread drug and alcohol addiction among young people, and the inaction of those in authority. The WASE says that there is not much hope unless the society accepts that drug abuse is a massive problem which needs urgent treatment. The members of the WASE know. Almost all the volunteers of the WASE have seen and experienced addiction firsthand. They know how it feels to lose a loved one to drug addiction. From personal tragedies of the WASE members, one of the strongest examples of courage and dedication has emerged.